So many players are becoming as sharp as needles when they play poker online that they are constantly on the look-out for new and exciting challenges to test their skills. With horse poker, there’s no greater task they could set themselves as they need to show off their expertise in not just one poker variant but five! As you might guess, the name is made up of the initial letters of Hold’em, Omaha hi-lo, Razz (seven card stud low), Stud (seven card stud high) and Eight or better (seven card stud high and low). The craze is thought to have originated in the land-based casinos down Las Vegas way where seasoned professionals who were bored with their fairly even high stakes winnings, decided on a type of tie-breaker to see which one of them was the most outstanding all round poker expert. When you play horse poker online, you’re following suit by emphasising your range of skills across many different variations. Horse poker is traditionally set for a table of eight. Play consists of several rounds, each one being in the format of one of the poker variations it comprises, with the sequence closely following the spelling of horse as outlined in the previous paragraph. 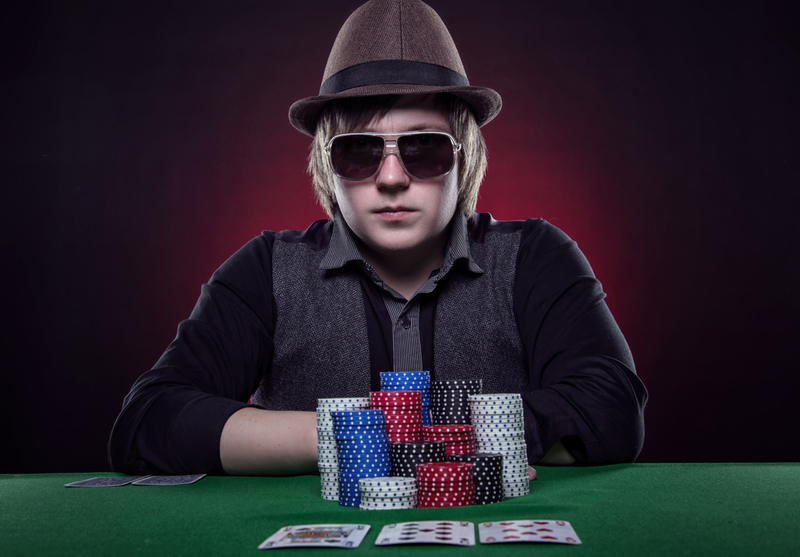 In land-based and live dealer online casinos it is the accepted practise that players formally agree to the sequence before play can commence. To ensure there are no deadly disputes over which variant is supposed to be in play, a sign indicates the round and also appears on the online player’s dashboard. All the different forms of poker included in horse are played at fixed limits which are kept at the same level throughout every round. Some players who are more devoted to the no limits of Hold’Em games actually find it hard to adjust to not being able to wade in with a dramatic all-in shove at a crucial stage of the play. One procedure to note is that when a round changes to Razz, the wagering button is held on freeze to ensure that when play eventually returns to Hold’Em again, no one has missed out on any blinds or paid any extra. Even the most experienced cool handed dude is unlikely to be an all out expert on every form of online poker, particularly the more obscure Razz or Eight And Better. You can get ahead of the field by doing your homework and practising hard on many of the free games of the variants and horse itself, that are available in some online casinos. Unbelievably, some hardened Hold’Em players even think their skills are enough to get them through the whole horse sequence. In live dealer games you’ll soon be able to spot them and then your late night studying will begin to pay dividends. If you’re in need of more practise but can’t wait to join the race for horse poker online, you are in danger of being picked off by the others. Try to keep out of trouble by following the general pattern of playing in position with hands and bluffs that seem sensible, keeping any big blinds to back up your stronger points. Another tip, especially in the seven card stud rounds which are rarely won on big bluffs, is to keep a sharp eye on which cards have appeared or are missing. And of course, playing aggressively on your strongest games will tide you over any weaknesses. Some critics of horse poker reckon the constant changes between formats give it an unsettling atmosphere. This can be remedied up to a point by a dealer’s version of horse that adds an extra hand to each round which allows players more time to get used to the flow of the proceedings. Taking part in horse poker online is an ideal way of introducing yourself to poker variations you’d never have dreamed of playing and you might even unexpectedly become an expert in them. If you are a poker player who has a great deal of admiration for the game, playing different versions through horse poker online will broaden your general knowledge and appreciation of poker in every form. And that will ultimately result in a much sharper expertise and enjoyment when you play your favourite.